Stacey and I spent two and a half weeks in Chile right before the start of 2007. Chile is huge - our travels covered more than 3000 miles of the country, 2100 of which were by plane (luckily). 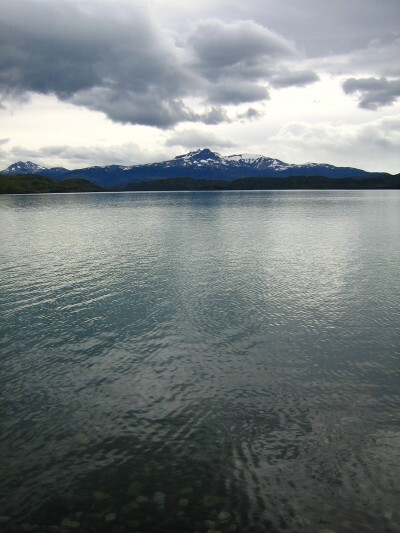 After a brisk exploration of Santiago’s sights, we headed south, by plane, to Punta Arenas. 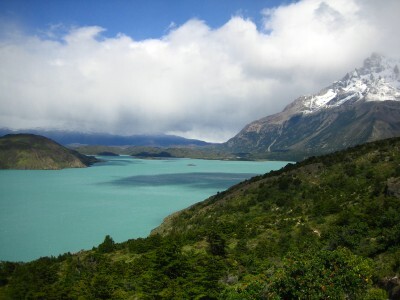 We were eager to tackle the main attraction that drew us to Chile, the Torres del Paine National Park and the now famous ‘W’ trek. The 50-mile hike took 5 days (4 nights) and covered some of the most spectacular terrain I have ever seen. A camera cannot capture the immensity and expansiveness of the views. 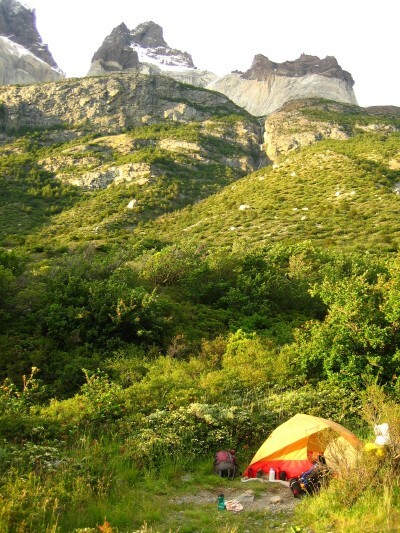 All of the nature photos included below are from our trek and can give you a taste. 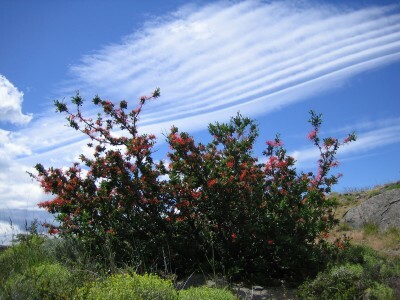 I’m not sure why, but the weather in southern Patagonia is remarkably dramatic. Some of the sunsets and cloud formations were unbelievable, especially set against equally dramatic landscapes. After a day’s rest in Puerto Natales, we headed back to Punta Arenas, where we caught a boat to Isla Magdalena and it’s Monumento Natural Los Pingüinos. 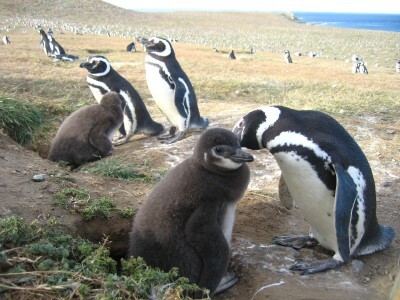 The colony of some 150,000 penguins was very neat, especially since the penguins were raising newborns, building nests, and creating a lot of commotion and noise with their mating rituals. From Punta Arenas, which has a truly bizarre cemetery, we flew back to Puerto Montt. A bus and ferry ride brought us to Chiloé, an island off the coast. People had told us that Christmas was festive and social in Chile, and that things would be open and people out to party. This was not true, at least in Chiloé. 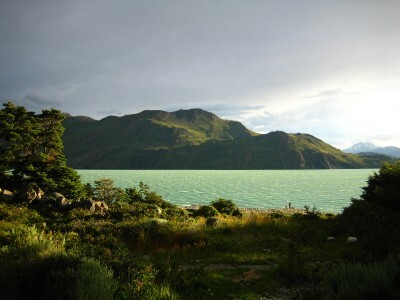 After two days of wandering the deserted towns, seeing a few sites, and eating in whatever was open, we headed north to Puerto Varas, a small resort town nestled on a big lake and overlooking two volcanoes. Puerto Varas was one of the more charming towns we visited. Certainly touristy, but the bustle, charming restaurants and interesting Germanic architecture made up for it. After a day, we continued our trip northward to another resort town, Pucon. Although a major tourist trap, we were able to stay and eat cheaply ($4 and $3 respectively). However, we did indulge in a well haggled but expensive white water rafting excursion (class III and IV rapids). The most popular activity was hiking the active (smoking and smoldering) Volcano Villarrica nearby. 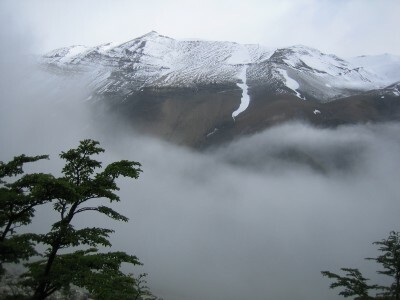 However, bad weather plagued the 5400-foot ascent for weeks, and there was no way to get to the top safely. With no sign of the weather clearing and sick of obnoxious tourists, we decided to hop to sunny and tourist-free Temuco. 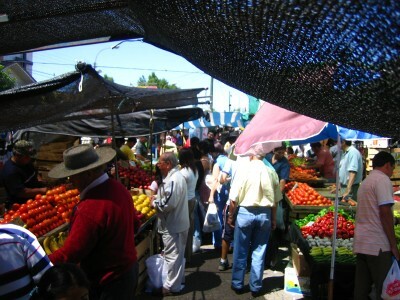 Most of time in Temuco was spent exploring the expansive produce market and sampling many street foods and snacks. We also picked up our first gifts and souvenirs from local sellers, some of whom were Mapuche, the local indigenous people. 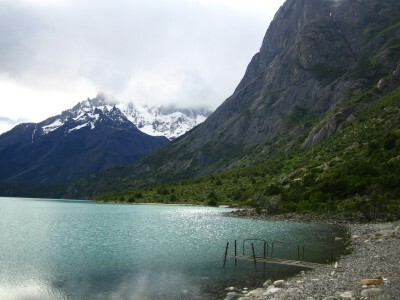 Our next stop was Chillán. 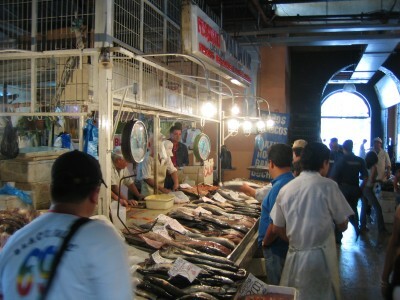 We had purposely arrived on a Friday night in order to explore the Saturday Market. 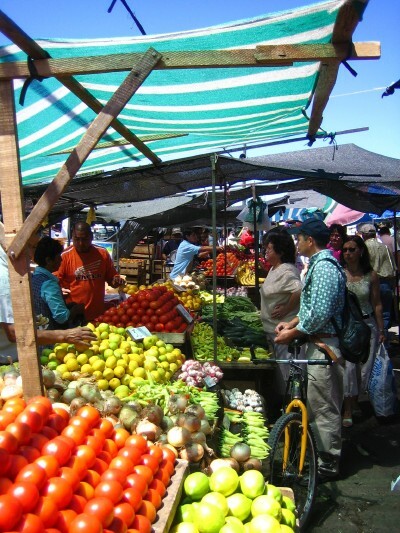 Like Temuco, most of our time was spent eating and exploring. In many ways, these two cities were the most interesting of the trip. 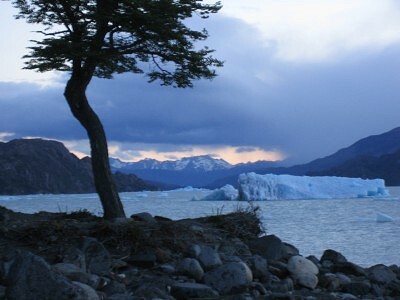 The lack of tourists and the presence of real, regular Chileans was refreshing and revealing. I think it was the first time I understood and respected the subtle culture, which was overwhelmed by tourists, tour agencies, and international restaurants in the other towns we visited. 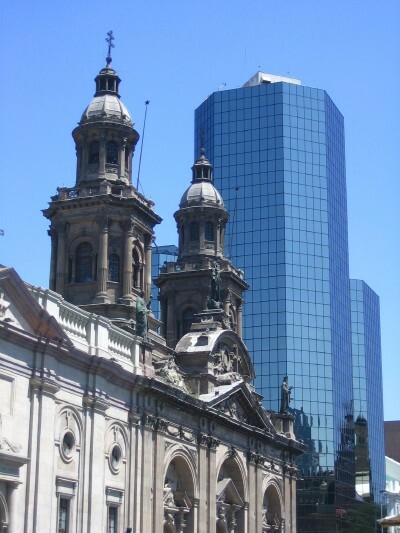 With our refreshed view of Chilean culture and time dwindling, we looked forward to returning to Santiago. Our final day in the country was not spent exploring the final few sites in Santiago we had missed the first time. Instead we spent the day, once again, exploring a local market. 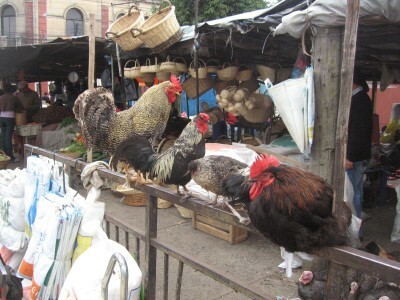 The huge and busy market in the north of Santiago isn’t even mentioned in our Lonely Planet book. We just followed the crowds and stumbled into the part of Santiago normal Chileans go to shop and, as we should have expected, where there were no tourists. That night, as the city hunkered down for New Year celebrations, we departed for our cheap flight back home. We tried our best to be festive, sharing two $1.50 bottles of Champagne (we picked up in the market) with people at the airport (which they let us take though security under the promise we'd drink it all before boarding!). On the overnight plane back to New York, we donned our party hats and drank our single complimentary alcoholic drink (thanks Delta) and brought in 2007 with our fellow, and far more sober, passengers.